ww2dbaseVasily Ivanovich Chuikov was born into a Russian peasant family. His army career began during the Russian Revolution when he enlisted with the revolutionary faction. He became a commissioned officer after attending the Frunze Military Academy. ww2dbaseDuring World War II, Chuikov led Soviet troops during the invasion of Poland in 1939 and then served in northern Russia and Finland during the Winter War. After the conclusion of the Winter War, he served in China as an advisor to Chiang Kaishek, training Chinese troops during the Second Sino-Japanese War. After the Germans launched its attack on the Soviet Union, he returned to his native country to lead the 62nd Army in Stalingrad. The short general, with his frequently messy hair, subsequently led the 8th Guards Army in Byelorussia during Operation Bagration. He was described as one of the most aggressive field generals of the entire Russian front, often charging ahead westwards with the supply and other supporting units far behind. During his race for Berlin under Zhukov, he was so far ahead of his supply units that his men had to siphon fuel out of less critical vehicles to supply the gas-guzzling tanks; the vehicles with their tanks siphoned empty were abandoned on the side of the roads as if they were worthless. Ammunition was also an issue under his aggressive style. Chuikov was known for making use of captured German guns and shells because his artillery units at times moved forward without a single shell in their supply trucks. ww2dbaseAfter the war, Chuikov remained in Germany as an officer of the occupation troops. On 11 Mar 1955, he was given the title of Marshal of the Soviet Union, and between 1960 and 1964 he commanded all of Soviet ground troops. He retired in 1972, though he continued to be involved politically in the Communist Party until his death in 1982.
ww2dbaseChuikov was buried in Stalingrad, the site where troops under his command held the city bravely against German advance. He was the first Soviet marshal to be buried outside Moscow, Russia. ww2dbaseSources: the Fall of Berlin, Wikipedia. 12 Feb 1900 Vasily Chuikov was born in Serebryanye Prudy near Moscow, Russia. 28 Jan 1943 Vasily Chuikov was awarded the Order of Suvorov 1st Class for the first time. 26 Oct 1943 Vasily Chuikov was awarded the Order of Lenin for the first time. 19 Mar 1944 Vasily Chuikov was made a Hero of the Soviet Union for the first time and was awarded the Order of Lenin for the second time. 23 Aug 1944 Vasily Chuikov was awarded the Order of Suvorov 1st Class for the second time. 21 Feb 1945 Vasily Chuikov was awarded the Order of Lenin for the third time. 6 Apr 1945 Vasily Chuikov was made a Hero of the Soviet Union for the second time. 1 May 1945 Hans Krebs informed Vasily Chuikov of Adolf Hitler's suicide, thus Chuikov became the first Soviet general to learn of this news. 29 May 1945 Vasily Chuikov was awarded the Order of Suvorov 1st Class for the third time. 11 Feb 1950 Vasily Chuikov was awarded the Order of Lenin for the fourth time. 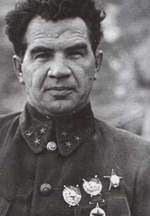 11 Mar 1955 Vasily Chuikov was made a Marshal of the Soviet Union. 11 Feb 1960 Vasily Chuikov was awarded the Order of Lenin for the fifth time. 22 Feb 1968 Vasily Chuikov was awarded the Order of the October Revolution and was awarded honorary arms with golden national emblem of the Soviet Union. 12 Feb 1970 Vasily Chuikov was awarded the Order of Lenin for the sixth time. 11 Feb 1975 Vasily Chuikov was awarded the Order of Lenin for the seventh time. 21 Feb 1978 Vasily Chuikov was awarded the Order of Lenin for the eighth time. 11 Feb 1980 Vasily Chuikov was awarded the Order of Lenin for the ninth time. 18 Mar 1982 Vasily Chuikov passed away in Moscow, Russia. 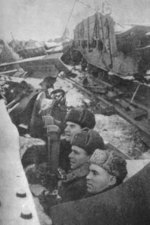 Perhaps Gen Chuikov was the first man who introduced the concept of small "assault teams" to prevent the Germans from withdrawing into the rear after an artillery attack. This proved to be the foundation for the later urban warfare tactics. I may be corrected if I am wrong. Let it also be noted that Chuikov's aggressiveness had caused him to be the only officer under Stalin's command that would openly speak out against Stalin, and in some cases right to Stalin's face. This boldness gained him great amounts of respect from many other officers of the communist party, including Stalin himself.